Does Exercise Affect your Heart Rate? 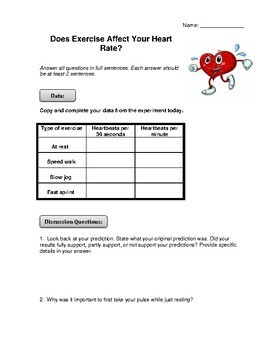 This 4 page resource asks students if they think exercise affects their heart rates. First, there is a detailed instruction page, including a materials list, procedure, and observation table. 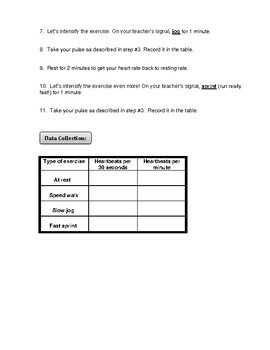 The science lab has students taking their own pulses when at rest, and then also when participating in 3 different levels of physical activity. 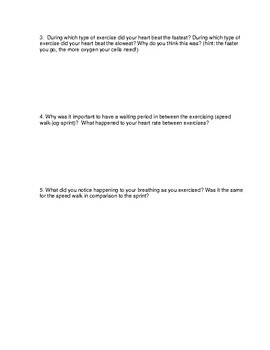 Next, there are 5 discussion questions, where students must consider and reflect upon the lab in which they just participated. 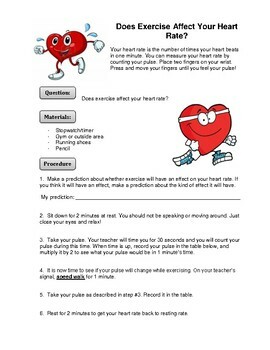 This is a fun, hands-on way for students to learn about their changing pulse!